Do you have these in your pantry? Although the internet is pretty handy for giving us foodies access to plenty of tasty recipes and meal inspiration, it’s also contributed something of a faddy food culture that’s led to all manner of wild claims about which meals can have beneficial or even harmful effects on our health. And whilst we can all agree that a balanced and varied diet is key to ensuring our bodies stay in shape, there’s no denying that some of these superfoods offer a fast-track to nutritional excellence! Few foods can match the humble avocado for the sheer range of health benefits that the fruit offers. Whether you have avocados sliced on toast, or mashed up in guacamole, you can look forward to the fruit helping cut the risk of heart disease, controlling your weight, and giving you a healthy dose of antioxidants. And what healthy food discussion is complete without some controversy? Whether or not you agree that eggplants are the new avocado, few would argue with the fact that their antioxidants and flavonoids can help our brains retain nutrients whilst reducing our blood pressure. Plus they also make a great meat substitute for anyone who’s looking to take their diet in a more veggie-friendly direction. Fresh food is always a safe option for giving us plenty of nutrients. Whilst we can all enjoy a good barbecue, there’s nothing like fresh sushi for a solid meal that packs a nutritional punch. With sushi’s ingredients including the likes of seaweed that gives high doses of iodine, ginger and wasabi that provide plenty of antioxidants, and fish being rich in omega-3s, it offers a range of health benefits in a small package. Even if you don’t have time to assemble your sushi, then takeaway delivery companies like Deliveroo can provide a stress-free way to get your hands on this hyper-healthy food. 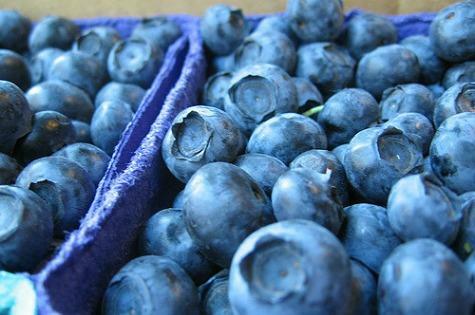 And finally, regardless of whether you prefer strawberries or raspberries, blueberries or gooseberries, it seems that scientists are in agreement that berries are packed full of health-giving powers. Whether you’re sprinkling blueberries over your breakfast pancakes, or having an extra dose of strawberries and cream as a dessert for your takeaway delivery, berries can work wonders in protecting us against cancers, cellular ageing, and cardiovascular ailments. So whilst the internet may be packed full of misleading health information, with some of these superfoods, we can get a quick and simple dose of nutritional reassurance! This is a really intnillgeet way to answer the question.